Inside Self-Storage Store. 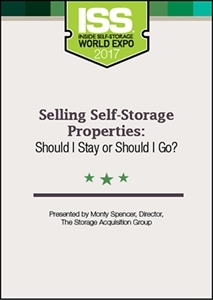 Selling Self-Storage Properties: Should I Stay or Should I Go? Take advantage of the current seller’s market by learning how to analyze the current value of your self-storage assets, position a property to maximize its value, reach motivated buyers and more.